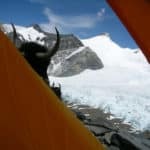 Live a unique five week mountaineering trip exploring the Mount Everest's Tibetan side and many other outstanding spots in the Himalayas. 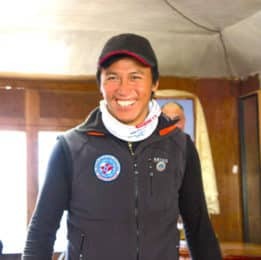 Local IFMGA guide Tshering will lead this Lhakpa Ri expedition. 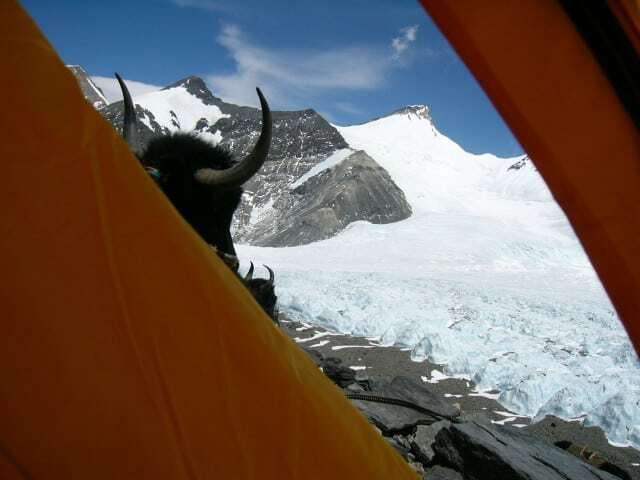 The Lhakpa Ri expedition is probably the best way to explore the Tibetan side of Mount Everest. During these five weeks we’ll follow the footsteps of George Mallory, who first led a reconnaissance expedition in 1921 in the area. For the first days we’ll take it easy so we can connect to local culture. Then we will start a trek through amazing valleys, farms, moors and green meadows in direction to Everest Base Camp. 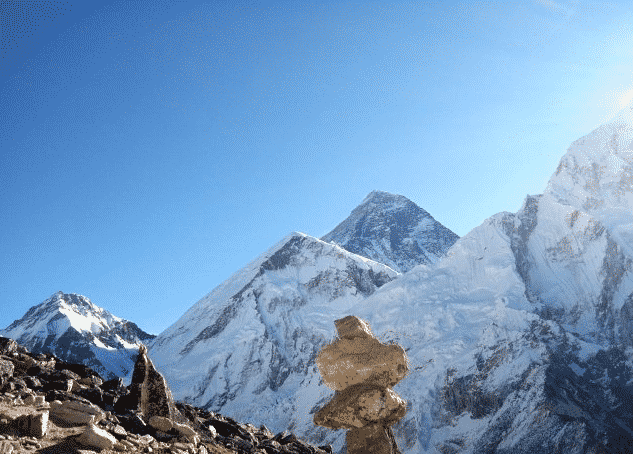 We will walk through the ice pinnacles and cross the Rongbuk Glacier towards Rabu La from where we will have a privileged view of the main peaks of the Himalayas, Everest included. There is also the option of an avalanche rescue training day, surely the highest training you will ever take in your life. 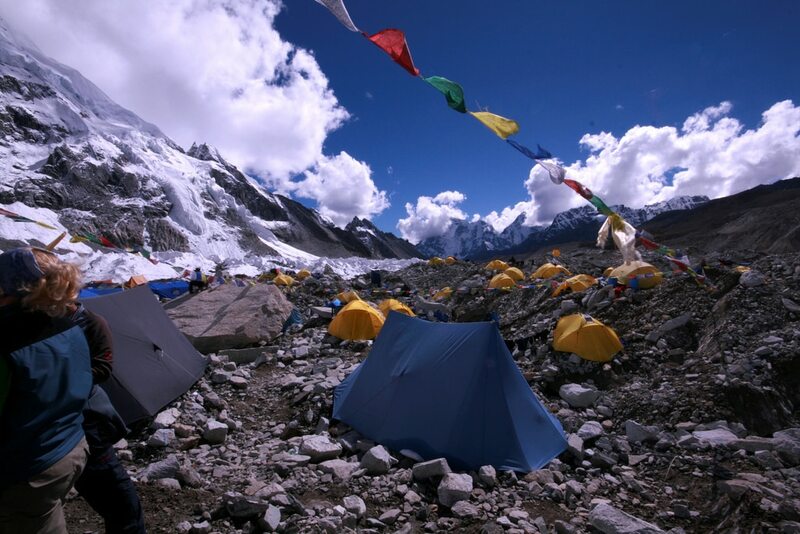 After that we’ll continue towards the Advanced Base Camp in order to climb the famous Lhakpa Ri summit (7045 meters). It is probably the most achievable 7000-meter mountain in the world. Furthermore, the views extend everywhere, giving us a well deserved rest while enjoying the splendor of the Himalayas. This trip is suitable for trekkers without too much climbing experience but with an excellent fitness condition. Keep in mind that although both the hiking and climbing are moderate to hard they’re not technically difficult. I will apply my good local knowledge and expertise to make you live the best journey. In addition I can offer good quality hotels in the town as well as individual tents during the trek. As your mountain guide I’ll guarantee a safe and fun expedition. All you have to do is filling out the form and getting in touch with me to start with your booking. I am eager to guide you on this Lhakpa Ri expedition! Not included in the price: international airfares, visas, transfer fees, departure taxes, excess baggage, tips to trek staff, hotels etc., personal travel insurance, lunch and dinner in Kathmandu, personal expenses (such as gifts, phone calls, laundry and alcohol) and personal equipment. I have been climbing since 1996, starting on the 8000m mountains in the Himalaya. I'm one of the few IFMGA/NNMGA certified mountain guides (Instructor) from south Asia, gaining my qualification from the New Zealand Mountain Guides Association (NZMGA) & Nepal National Mountain Guide Association (NNMGA). I have successfully guided on Mt Everest on multiple occasions, and other 8000m peaks such as Mt Cho-oyu (8,201m) (3 times), Sisha Pangma (8,013m), Mt. Manaslu (8,163m), Mt. Dhaulagiri (8,167m), Mt. Makalu (8,463m), Mt. Lhotse (8,515m) and many more. 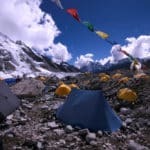 I have have also a strong international climbing experience and extensive knowledge of the logistics, planning and group dynamic that are also very crucial to successfully lead adventures in the Himalaya and around the world. I guided in New Zealand, Norway, France, Scotland, Thailand, Bhutan, Pakistan, India and Tibet. I'm also a rescue expert and a technical trainer for the mountain guides training. I very much like guiding my clients in remote places, where no tourist goes. I like also discovering new routes and peaks. Please have a look to the different trekking and mountaineering expeditions I propose and contact me if you want to discuss about them. I can of course also guide you in more 'classic' routes, just get in touch with me and let's talk about your wishes! myself had a wonderful time and wish we could have kept climbing! Thanks for making our trips to Nepal even more unforgettable!! Hiking - 20 days - Interm.